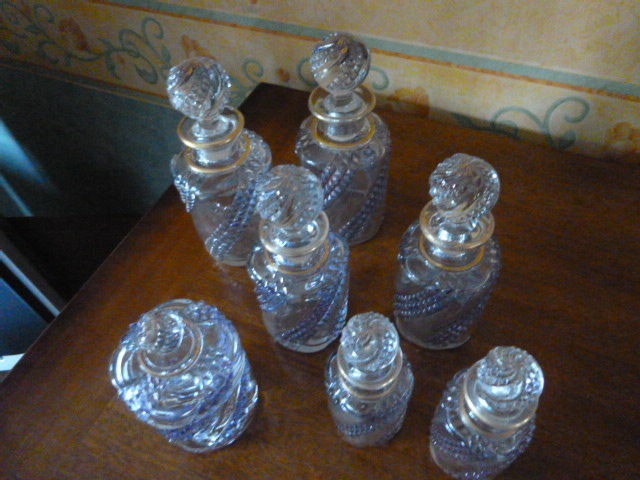 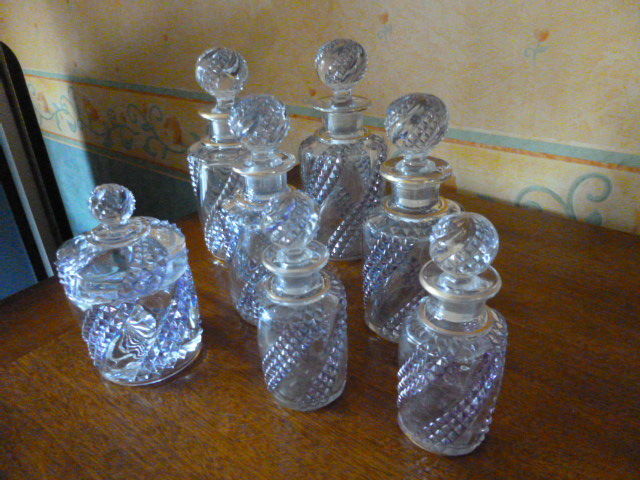 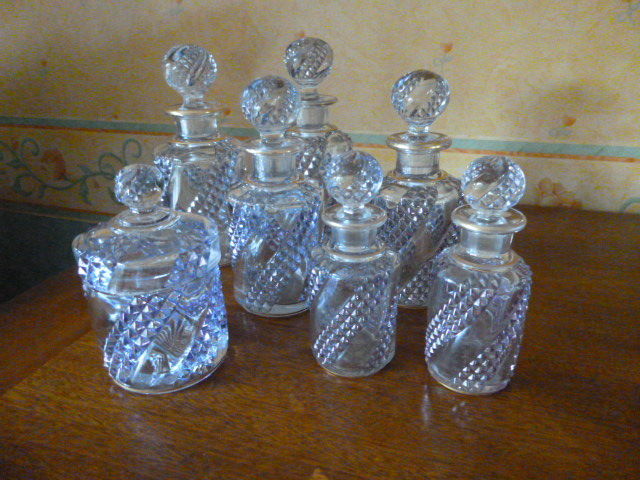 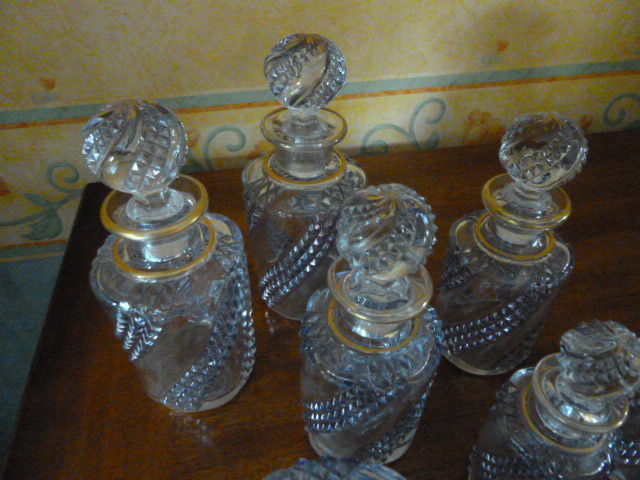 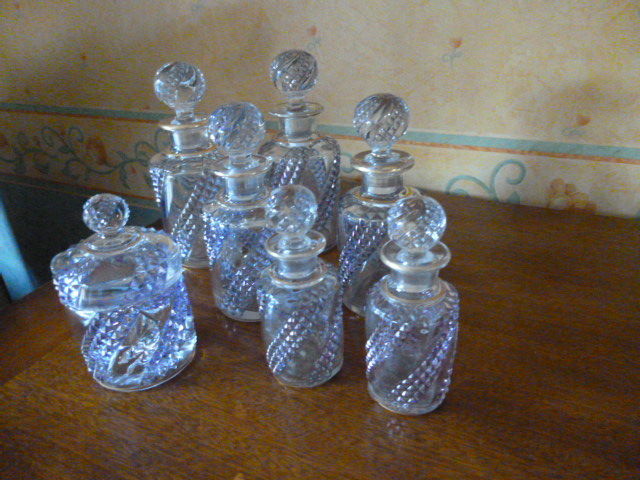 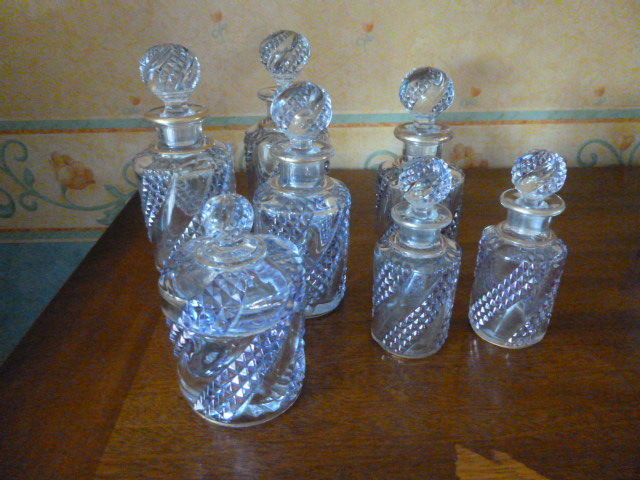 Set of 7 glass pieces, purple serpentine in perfect condition composed of 6 bottles and 1 box. 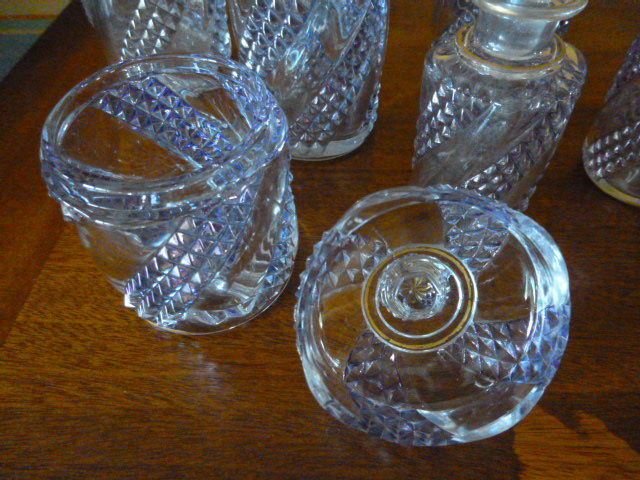 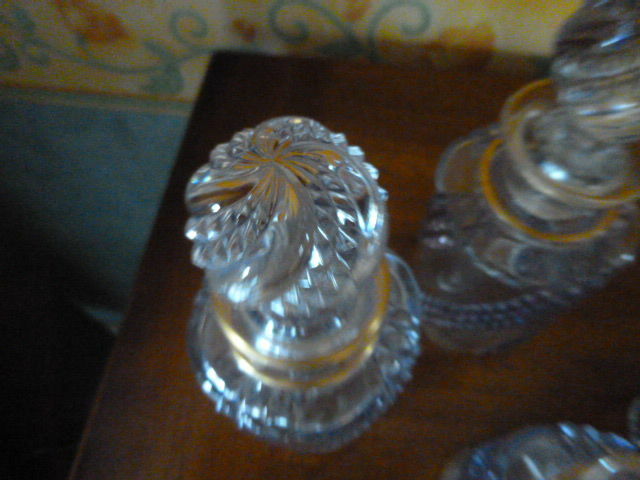 * Diamond stoppers. 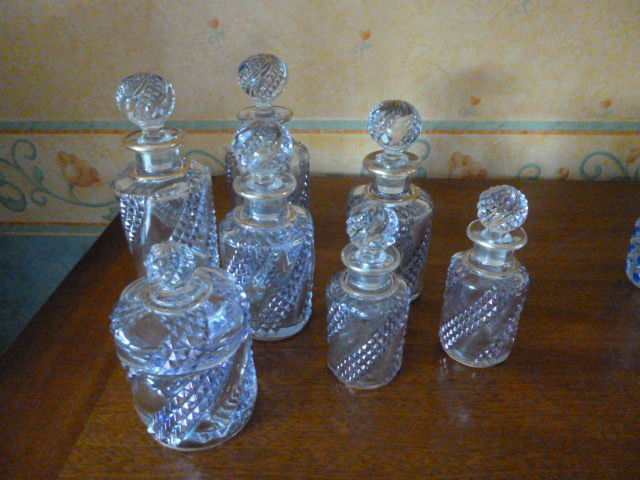 ALL IN PERFECT CONDITION.